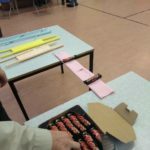 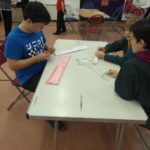 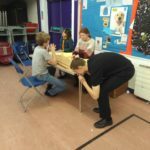 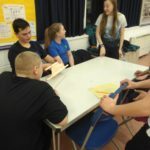 The Scouts were set a challenge to build a paper bridge from 6 sheets of A4 paper and 1m of sticky tape in their patrols. 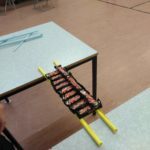 The bridge had to span a gap of 40cm. 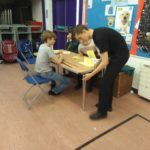 Of course a single sheet of A4 paper even on the diagonal will not cover this gap. 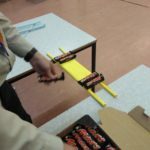 The bridge was not allowed to be fixed to either side of the gap. 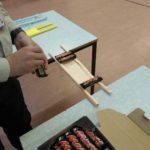 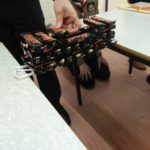 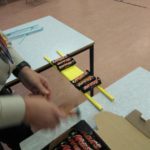 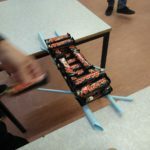 The winning team managed to support 30 Mars Bars on their bridge before it gave. 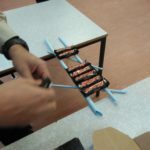 The leaders of course pipped this with almost a whole box before they slipped off, the bridge still intact.